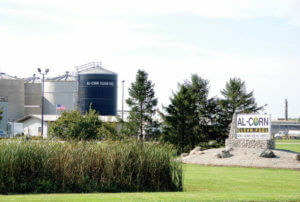 Running to represent Minnesota’s first congressional district, Jim Hagedorn visited Al-Corn Clean Fuel in Claremont Thursday evening to discuss the importance of Minnesota’s ethanol industry for the state’s economy and its corn growers. 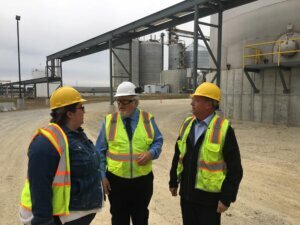 Organized through the “MN Corn Grows MN” initiative, the Minnesota Corn Growers Association (MCGA) worked with Al-Corn to invite Hagedorn to the newly expanded plant for a tour and discussion on issues impacting the state’s ethanol industry. 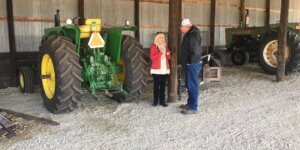 U.S. Senate candidate Karin Housley traveled to the farm of Minnesota Corn Growers Association (MCGA) director Les Anderson on Monday morning. Housley, who currently serves in the Minnesota Senate representing District 39, spent the morning discussing issues impacting the state’s corn growers while enjoying a combine ride and a tour of the Cannon Falls farm. 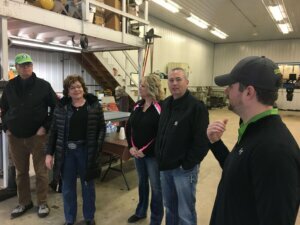 Housley’s visit was organized as part of the “MN Corn Grows MN” initiative, which was launched to bring candidates for elected office to family corn farms to raise awareness of the importance of corn farming in our state. 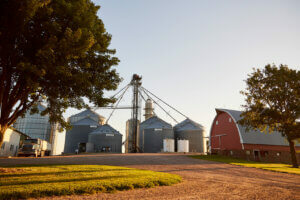 The Minnesota Corn Growers Association joined the National Corn Growers Association and other state organizations around the country in submitting comments to the Environmental Protection Agency (EPA) addressing concerns with the 2019 Renewable Volume Obligations under the Renewable Fuel Standard (RFS). After weeks of rumors and speculation, the Trump administration announced last week it would not move forward with changes to the Renewable Fuel Standard that would attach Renewable Identification Numbers (RINs) to biofuel exports. 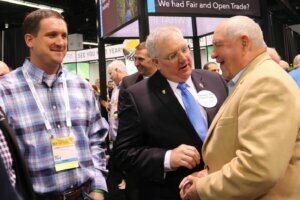 The news was welcomed by the nation’s corn farmers, while refiners and oil-supporting legislators vowed they would continue their efforts to overhaul U.S. biofuel policy. The Minnesota Corn Growers Association (MCGA) is hosting 2018 candidates for Minnesota’s 1st congressional district on family farms in southern Minnesota. Last week, candidates from both parties visited with MCGA grower leaders in an effort to build a greater understanding of modern farm practices and discuss the federal issues impacting Minnesota’s corn growers. The Minnesota Department of Commerce released its year-end station report outlining ethanol-blended fuel sales for 2017. 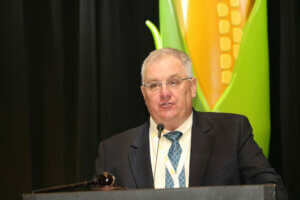 The numbers detail the building momentum behind ethanol-blended fuels in Minnesota. 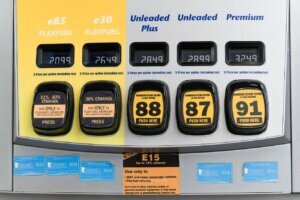 First, 2017 was a banner year for E15, which totaled more than 19 million gallons in sales. Compare that volume to 2016 when 5.7 million gallons were sold, and it is more than a 230-percent increase year-over-year. More than 4.6 million gallons were sold in December 2017 alone.